Blurt posted my Hospitality profile yesterday! Check it out here. I never linked the article I wrote about Alice Bag, which is here. If you have any interest in the first LA punk scene, please check this out, as well as her book. Among the reviews I've written for them, there's a band called SorryEverAfter, which features Mike Cloward, who played in 28th Day with Barbara Manning. That one's here. I spent Tuesday AND Wednesday night at the Thunderbird Cafe, for jazz no less. The bar typically caters to rock and somewhat bluesy bands, but they actually have jazz here and there. Besides over the past couple years I think I've blogged and preview enough shows that it wouldn't see too out of the ordinary. Tuesday night was the weekly Space Exchange event. (See January entries for an explanation.) The group this week was Book Exchange, a trio of Exchange curators Ben Opie (tenor and alto) and Dave Throckmorton (drums) with bassist Jeff Grubbs. I used to see Jeff on an almost weekly basis when the Crawford Grill was open and they had a Monday night jam session. By day, so to speak, he's a bassist in the Pittsburgh Symphony. He's definitely a great player and it was even more exciting to see him in this capacity: playing tunes by Thelonious Monk, Ornette Coleman and Anthony Braxton. Those three composers are near and dear to Ben's heart, as well as mine. Considering how Ben will never be really viewed as a "traditional" player, it was great to hear him start off a set with what were essentially two blues tunes, Monk's "Ba-lue Bolivar Ba-lues Are" and Ornette's "Blues Connotation," although the latter could go anywhere after the theme. I was trying to pay close attention to where Jeff was going during the Ornette tunes, but kept getting distracted by the other tunes instruments. Not a bad thing at all, though. The night had a good crowd, which I was glad to see. I invited a couple friends, and one showed up with three more people in tow, all of whom seemed to dig the music. The next night brought the return of the Ethnic Heritage Ensemble, Kahil El'Zabar's longstanding unit. He has come here several times over the past couple years, bringing Hamiett Blueitt with him a few of those times, but this lineup was really the tops. The kind that makes you think that a $16 ticket is worth it for what you get. (That was the advance price. It was $20 at the door. I mention this because us Pittsburghers often have sticker shock at covers like that. You big city slickers might be used to it, but we're not. Which may explain why we don't get a lot of jazz like this on a regular basis.) Along with percussionist El'Zabar were trumpeter Corey Wilkes and tenor/alto saxophonist Ernest Dawkins. They played two sets which were fairly reminiscent of previous El'Zabar shows - a riff that he set up on the kalimba, a tune where he played trap kit, a tune his massive conga drum - but this band had a special electricity going through it. El'Zabar is solid to begin with. It's amazing to watch him stand there for 15 minutes clicking out the riff on the finger piano (which he runs through an amp! ), shaking bells around his ankle and never varying the tempo. The two horn men were really astounding. When Dawkins started soloing, I got the feeling that he's not just a good player, he's top tier. Amazing tone, incredible vocabulary and execution. While Fred Anderson might not be around to guide the younger Chicago players, the city is in good hands as long as Dawkins is around. And damn, why did I miss him in 2010 when he came with his New Horizons Ensemble? (Check out a review of their last CD here.) Wilkes also proved himself to be a really inventive trumpet player, referencing all sorts of styles in his work, be it Harmon mute shadings or wilder moments. A few years ago, he filled the trumpet chair in the Art Ensemble of Chicago vacated by Lester Bowie. That's a tall order, and he was then and he is now fit for the job. On top of that, his own music has a straighter edge to it, so he really draws on a disparate bunch of ideas. The Ensemble played two sets. The first was about 45 minutes, just three full tunes, including of all things "Cherokee," with El'Zabar on conga. The second set was more like an hour, the only less-than-satisfying thing coming when he told the two horn guys, "I got it," meaning "Don't play anything" and he went off on an extended conga and verbalizing solo that could've been a little shorter. (By the way, Dawkins slayed me with his extra percussion during Wilkes' solos, with the way he threw in little extras here and there, including a Roland Kirk-type whistle.) So it was well worth the cover charge. Don't miss these guys next time. 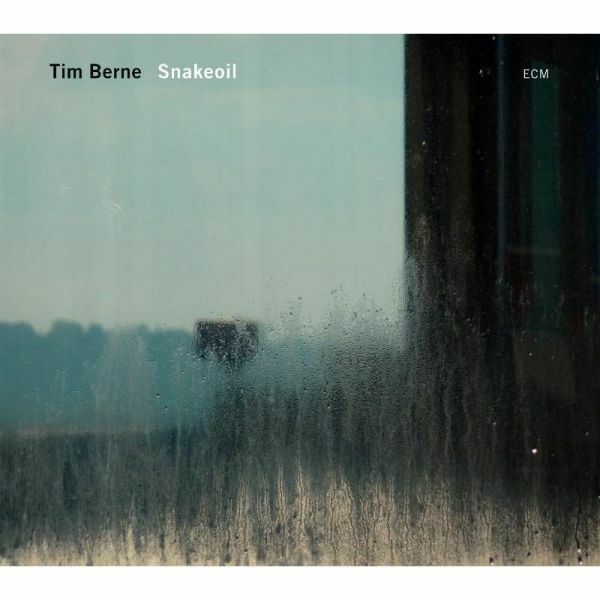 This isn't the first time Tim Berne has appeared on ECM. He played on David Torn's prog-improv album Prezens in 2007. But this represents his first session as a leader for the landmark label. Anyone who has followed the label with any regularity realizes that producer Manfred Eicher gives his sessions a unique sound. (So unique that I was able to identify it when I heard an ECM album playing in a coffeeshop last week.) So too does Tim Berne have a singular approach, one that he has admitted to using repeatedly, changing up the musicians when it's necessary to keep it fresh. And from the opening moments (ever notice that ECM discs always begin with at least five seconds of silence? ), Snake Oil is an ECM album. Matt Mitchell's piano has than tranquil sound that evokes snowy European peaks (personal image). It doesn't sound smooth or new age-y, but sonically it's a far cry from Downtown New York, even if it was recorded there. Berne's alto doesn't enter until three minutes into "Simple City," and when he does it's classic Berne - sharp-tongued and fiercy, jousting with drummer Ches Smith over the scene. Like his best compositions, the piece goes through many shapes and changes, though at 14 minutes, it might be considered a shorter work for him. Oscar Noriega, who rounds out the quartet and acts as the reed foil on clarinet and bass clarinet, solos in the final section, his clear tone fitting in with the ECM aura. Berne had Chris Speed double on clarinet in Bloodcount, but Noriega's parts and even his tone often echo the way guitarist Marc Ducret harmonized in his appearances with several of his groups. At times throughout Snake Oil, the quartet sounds like Eicher took the edge off of Berne, who is known for screaming crescendos and extended pieces where structures morph into different movements as soloists blow over them. The saxophonist's proclivity for repetitious choppy lines remains ("Scanners") but sometimes the fluid, calmer parts just seem to bask in the mood of that moment. Smith might be playing in a manner like Jim Black but that unpolished crack doesn't quite across. But the full depth of a Tim Berne album often doesn't come out until numerous, engrossed listens. Snake Oil continues in that way. Just when "Not Sure" doesn't seem to be moving beyond a free interlude of alto and bass clarinet, it shifts into a knotty theme, and Mitchell plays over the jerky changes, which is a new thing for acoustic piano is almost never been heard on a Berne album. I've listened to this a lot in the past two weeks, and I'm still getting surprised each time. So maybe Berne writes variations on the same thing with different configurations of players, but there's still new discoveries with each excursion. And no, they don't cover the great Tony Williams Lifetime tune "Snake Oil." Alas. Lo and behold that's where the lovely Ms. Parkins and her European co-horts were to play. Before them, though Ben Opie and Matt Wellins performed a piece where Opie played clarinet and alto, and Wellins manipulated it through a bank of effects, turning the single tones into droning chords, swooshing stereo ping-pong percussive effects and repetitions of what Opie played seconds prior to it coming from the speakers. It was soothing but also engrossing. And I got that feeling while watching two members of Iris last night. Cellist Didier Petit began the set barefoot, and make sweeping gestures where he seemed like he was going to get out of his chair, only to sit back down, hit the back of his cello with his right foot, swing the bow around, hit the cello again.... He swung his bow around so viciously that I prayed it wasn't on loan from Pitt. He also looked like he was casting a circle. Later on, he actually did get up and walk to the back of the room while swinging the cello like a pendulum. Drummer Edward Perraud did a lot of grand gesturing too, waving his arms like he was about to kick into a Zeppelin song, only to land a crash on his snare or a "whump" on his kick drum. He has some sort of contact mike connected to his high-hat, which he ran through a sampler of some kind, since he bent the sound around with a knob on it. Also, he showed great skill at bowing his cymbals. But none of this ever seemed to come together into one thing. It just seemed like he was running through his various fields of expertise, without using them for a whole concept. And he was overdoing it in the delivery department. Of course Perraud and Petit might have been acting this way to contrast the looks of Parkins and Hans Tammen, who both sat at tables in front of laptops. Petit especially looked the role of tenured professor in his suit jacket, and at times the duo could've been checking email for all we in the small but rapt audience knew. Parkins picked up her accordion a few times, but she just used it for slow drones, not convoluted groups of notes. I'll admit I went there expecting an Andrea Parkins performance more in line with what she did with Ellery Eskelin more than a decade ago at Pitt, which means something more in the neighborhood of freewheeling jazz. I'm open to more intense, industrial, noisy electro-acoustic stuff like this, and while moments of it were nice, the four of them didn't lock in to anything as a group. I just came across a notepad that I took to the Man Forever show, and realized that I made a mistake. There's a scrawl that mentions how the bass line sounded like a slowed-down intro to "Shaft," two long notes that ring out, probably F to E. So they didn't just play one chord the whole time. Also, I got word that the Engine label's website is getting redone, so it should be up soon. In the meantime, Steven Walcott the man behind the label, has a blog at http://thecrosspollinator.wordpress.com/about/ Check it out if you like. Buy some of his CDs too. Thursday night, Man Forever played at Gooski's. The band is the project of John Kolpitts, who's better known as Kid Millions of the band Oneida and most recently of White Hills. There will be an album out on Thrill Jockey in a few months and judging from the bio for that album, it seems like they played the piece "Ur Eternity" the other night. Four guys were seated center stage around two snare drums, banging away. I'm not sure how long they had been playingwhen I made my way back because the jukebox was still going in the front of the bar. Each snare was shared by two of the guys, and they were getting this wild overtone that sounded like a guitar or bass. And there were guys onstage with both of those instruments - along with an organ, maybe a Farfisa - but they weren't playing anything yet. The sound was relentless: steady rhythms going on the skins without a break. Gradually the bass, organ and guitar started playing. They played one chord. For about 40 minutes. I think the piece worked kind of like a palindrome, with the instruments dropping out in the opposite order that they started. Can't say for sure because I was in the front of the bar, listening from a distance. Writing about it now, it sounds pretty interesting. Sort of like Terry Riley for the stoner rock generation. I have to admire the discipline and stamina of the guys too. But Thursday night, I had to step away from the band. Not only was it unbelievable loud - they miked the drums for pete's sake - it just got a little claustrophobic after awhile. For those who haven't had the pleasure of visiting Gooski's, the back room where the bands play is pretty small and intimate. The pool table usually becomes a spot that people lean on to watch the bands, and the ping pong table is folded up in the corner. Years and years ago, I saw a band of locals play something similar to this: I got there mid-performance as they were banging out an A chord, Velvet Underground-style. (I think narcotics might've factored into the set.) 10 minutes later they were still playing it. Five minutes later I left the room. Man Forever has more method to what he/they do, but it was still a little hard to take, especially after a few gin and sodas. At the same time, I received an advance of his new album and I'm kind of intrigued to see what it sounds like. Plasma Expander played first, all done up in hospital scrubs, complete with masks. The bassist hit his strings as they were taking the stage and it was so loud I think I jumped in my seat. Stuff like that usually doesn't faze me. They were kindred spirits with Man Forever: lotta one chord, dropped-tuned drones with the variations coming from the drums. Punk rock bands do split singles and split albums all the time, so it's about time that avant garde cats took that idea and ran with it. This is one time that it makes sense to release a 72-minute disc than two 36-minute ones. Further, Engine's production sense (covers printed on recycled chipboard, complete with detailed credits) offers a different take on jamming econo. Trio Caveat consists of bassist James Ilgenfritz, tenor/soprano saxophonist Jonathan Moritz and guitarist Chris Welcome. With an opening track titled "Clicks, Beeps, Buzzing," it becomes clear that the group gets into free improvisation, with a healthy attitude towards the sounds they create, if the titles are any indication. Things begin with each of them feeling the space, producing some plinking, bowing and blowing, with no one letting a line get too long. This is a subdued free improvisation. Although Moritz blows almost as hard for quiet sections as the loud ones, this session is not a demonstration of extended techniques, where this reed style joins a steady stream of bows that scrape out extreme harmonics and guitars are ravaged beneath the bridge or over the pick-ups. In fact, "Introspective Athletics" the track glides along as if it were a composed piece, like a ballad that meets some tension along the way. At 6:57, it's also one of only two tracks out of nine that come in over six minutes. Most are five or under. Not to write off the aformentioned type of extreme improv, but Trio Caveat balances the temptation for extreme free blowing with measured, empathetic interaction. Ilgenfritz and Moritz seem to naturally pull back in "Fractured Flakes, Torrent of Frantic" to let Welcome play a twangy solo that moves upward. The bassist has the spotlight for his own strong arco approach in "Mellifluous Chirps." Moritz works like the glue that holds it together, going from wild bird noises to more orthodox blowing. It's extreme music but it's very engaging. Josh Sinton describes his solo saxophone and clarinet album as "a (poor) attempt at spiritual alchemy. I made it in the hopes that my own relived memories would not haunt my daughter Zosia." It's probably a good idea to keep these tracks from Zosia for a few years. Everyone else should check them out. Sinton's axes of choice work well in the solo format: baritone saxophone, bass clarinet and contrabass clarinet. "Water for My Father" begins softly with a quiet, simple melody, only to explode as Sinton simultaneously blows and growls through his baritone. Perhaps in response that intense, visceral delivery, "The Earth for My Father" finds him firing off rapid arpeggios up and down his horn via circular breathing, as to prove to Pop he knows his way around the horn. Even though it's an exercise, Sinton makes it work as a performance too. A track called "My Clarinet Teacher" begins with Sinton intoning, "Eeeeeeeesential principles of good clarinet playing," and going into some catchy bass clarinet licks that digress into nasty honks. Again, he balances out the wild and wooly with the pensive "I'm Still Trying." By the time "Full of it... Love, That Is" comes around, it comes as no surprise that Sinton would dive into the contrabass clarinet's lower register for some ugly squonk. (Hell, I would too.) What's refreshing is his command of the instrument, which sounds like a cross between a gong and an industrial vacuum cleaner. 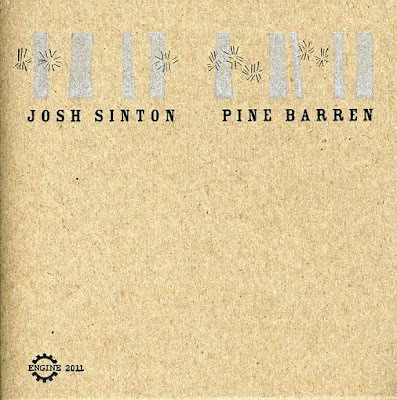 For album closer "Through the Trees I Saw Stone Caves on a Beach," Sinton overdubs all three horns (some multiple times) to create a densely layered, somewhat repetitive, rhythmically loose but ultimately satisfying work that proves these big horns can float easily when given the right ideas. If he sounds this good on his own, I'd like to hear him with a group. This review sort of ties continues with the thought I had in yesterday's post about how to the format of promos can make a big difference in the way new releases are perceived. Although this particular release is a whole different can of worms. Zs are a trio of free improvisers from Brooklyn, hellbent on creating tense performances whenever they set up. That must be the case when the label uses words like "juggernaut" and phrases like "music that challenges the physical and mental limitations of both performer and listener" to describe the band. And Northern Spy is a label for some reason I trust not to use hyperbole like that loosely. After a dozen years, if Zs hasn't opted to trade in all that free squonk for funk riffs, the description probably fits. 33 comes in the form of a double seven-inch set, packaged in a silk-screened fold-out sheath. Each side contains what sounds like a snippet of a larger improvised performance, each lasting between three and four minutes before abruptly stopping. No balls-to-the-wall noisefest, these pieces focus mainly on drummer Ian Antonio, who plays around on the toms of his kit, creating a dense thunder. On vinyl, this is the kind of sound that could overload your stylus, much like PiL's Metal Box did years ago. Listening to it on CD while driving around (yes, I received a download, which is understandable considering the limited edition status), it felt like the something might be rattling somewhere underneath the car. Turns out it was Antonio, or some post-production reverb effect on his kit. All four tracks bear the release's title, followed by an extra character. On "33-" the toms are joined by Ben Greenberg's guitar skronk and some pensive tenor sax work from Sam Hillmer, who also has some echo/delay on his horn. The overall impact sounds like a sonic ripple effect. In "33/" Antonio could simply be testing the sound of his toms, as Greenberg plays some short, pensive two-note lines that hang in the air. Hillmer hangs back, adds some low rumbles. As random as these elements sound, a connection can be felt between them, due in part probably to the limited space of the track. Things get a bit louder on "33~" with more rim clatter coming from Antonio, and Greenberg's tone resembling a gargling surf guitar. Hillmer recreates feedback on his horn, building to a small climax before dropping out and lettings his mates take it down in the last 30 seconds. "33\" has some phantom instruments bobbing in the mix. Hillner is blowing some un-tenor sounding noises, but it also sounds like a phantom baritone sax has wandered into the room. Initially the piece sounds like Zs are ready to kick up some dust, but things just amble along until - snip, it's over. Having previewed these tracks together on disc, I was able to develop more of a complete feeling for the set. One piece lead into another, making it more of a four-part thing, and a touch more interesting. At the same time, hearing them on vinyl, where the fidelity is open up to different factors, might result in a completely different appreciation. And guys, if they're so short, why not master them at 45? Was that the idea? I usually don't like asking questions in a review. Then again I usually don't like being so first-person either, but Zs can bring that out in a guy, methinks. Northern Spy - who has also just released albums by Charles Gayle and Chicago Underground Duo - has plans to release a retrospective Zs boxset, as well as solo releases by these guys. The idea sounds both intriguing and foreboding. As bold and intense as Amir ElSaffar's Two Rivers album (Pi, 2007) was, Inana comes across as an even more intense and beautiful work. Born on these shores to an Iraqi father and an American mother, the trumpeter spent five years studying the maqam in the Middle East and Europe. (To show how eclectic he is, this occurred after he received a degree in classical trumpet and moved to New York to play jazz with Vijay Iyer and Rudresh Mahanthappa.) The way he blends these studies with a probing style of jazz, which bears hints of AACM and Ornette Coleman, sounds astounding, especially in the way that neither influence gets watered down in the process. In fact what makes the melodies on this album so effective comes in the way that ElSaffar and tenor/soprano saxophonist Ole Mathisen are able to create microtonal pitches used in maqam while playing Western instruments. While it might sound initially like "flat" notes to uninitiated listeners, the blend of instruments eventually helps you adjust to the sound. All but the last of the nine tracks on the album make up "The Inana Suite," inspired by a Mesopotamian goddess of carnal love and warfare, who could stir up trouble wherever she went. While that scenario seems like it could invite some free blowing, the music is tightly written and arranged. "Dumuzi's Dream" begins with a bass drone courtesy of Carlo DeRosa that evokes Coleman's "Lonely Woman." ElSaffar and Mathisen state the undulating theme which works almost like a call and response with Tareq Abboushi (buzuq) and Zafer Tawil (oud). Afterward, the first solo comes from the leader, who doubles on santour, an Iraqi hammered dulcimer. The sound of its strings have a unique attack that evokes both banjo and tabla, as it slithers over the groove. Behind it all, Nasheeet Waits keeps the pulse flowing and throughout the album makes sure the music has a strong swing to it. Mathisen's solo here sounds much more Western, but he still comes up with a unexpected pattern of melodies, which do much more than build on the drone. The suite progresses through the four-part "Inana's Dance" (three of which come together in one track), and move among other places into "Infinite Variety," one of the pieces that doesn't draw directly on the maqam. Build on six different counterpoint melodies, it bears an ancestoral link to the Art Ensemble of Chicago, sounding like a loping march with trumpet and soprano sliding in and out of sync with each other, always answering the other right when things seem off. 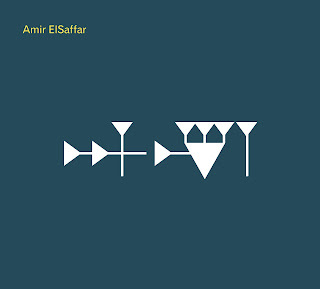 The 15-minute "Journey to the Underworld" brings the narrative to a head, going through multiple structures, starting with ElSaffar on vocals, which draw on the microtonal approach of the other pieces. While voices like this sometimes can feel even more jarring to these ears than the bent voices of the horns, ElSaffar's rich vocals have a way of making this setting just as captivating as the rest of the set. "Al-Badia," the album's coda and token non-suite track, has a great harmonic bass line that sets the scene for another blend of Eastern melody with jazz structure, complete with muted trumpet. Stop me if I've made this point before, but the reason so much world music sounds flat to these ears is due to the way it leaves out the essential edge and passion that makes the music so vital and exciting. Amir ElSaffar has again assembled a group of sympathetic musicians who know how to keep the appropriate sparks flying, and the results are enthralling. The end of the year must've been a dry spell and January must've picked up, or else I wouldn't have waited so long to post again. That's all going to change.... tonight. I think I finally am going to force myself to review a bunch of albums for the past few months. Let's see... about three weeks ago Hospitality came to the Brillobox. I interviewed them for a piece in Blurt which ought to be popping up on the site pretty soon. Hospitality's album came out on Merge last week and seems to be generating some well deserved buzz. When the article runs, I might ask politely if I can get a finished copy of the album. I like my download, but it'd be nice to have a lyric sheet in front of me to help with the full experience. Which reminds of something I wanted to opine about a couple weeks ago. I wrote about Kathryn Calder's latest album when it came out last fall (Bright and Vivid, on File Under: Music). The interview was conducted via email via a publicist. And it was okay, though there was no rapport there and I was going on a download of the album sent by said publicist. So with the full artwork in front of me, one song into the album, I had two or three questions spring to mind that could've made the article a lot more compelling. What's my point? We scribes understand why downloads are an easy way to get new releases to us, but when you take away the tactile part of the release - the stuff that some artists work a long time to complete - you take away an element that could result in the most compelling part of the article. Did you think I was going to boo-hoo about not getting a freebie? No. That was just a tangent.